I think I've finally decided to take a stab at some long-form video analysis and critique on Youtube. My first go at this came in the form of a nearly-hour-long breakdown of my frustrations with the Madden NFL video game series (broken up into 2 parts). For the benefit of my readers, I'm also transcribing the video onto this blog post. Though reading this post will certainly convey all the same points that I make in the video, I still highly recommend watching the video, as the video footage included will do a better job than screenshots of demonstrating the problems I report. The entire video is embedded below. If you want to see more (better-produced) video content like this from me, then I invite you to support me on Patreon. 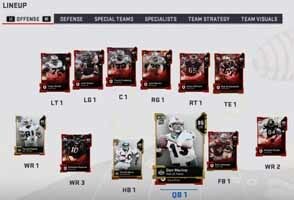 EA's ethos of releasing a new Madden entry every single year has become a tremendous detriment to the game as a whole. 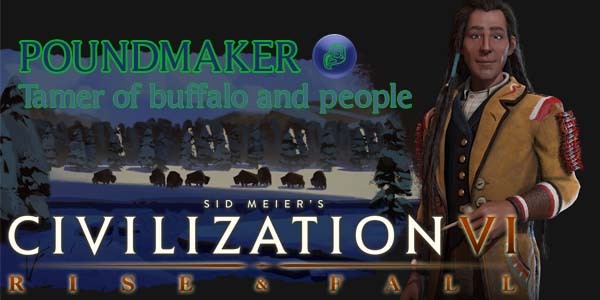 Modern games have become very large, very complicated, and very expensive to create, and every game series that has relied on an annual release cycle has, in my opinion, suffered for it. Even companies like Ubisoft have recognized this, which is why the company has decided to end the cycle of annual Assassin's Creed releases, opting instead for a major release every two or three years, with some large-scale DLC and expansions to fill out the intervening period. Despite re-using the same game engines, the huge cost of creating a new game every year stretches the company's resources further than they can go. Though I still didn't think that Assassin's Creed: Origins was particularly great, the game still clearly benefited from the extra design and development time that the year's hiatus provided, and the general internet consensus is that the game is very good. Assassin's Creed: Odyssey was released only a year after Origins, and it looks like a terrible, derivative, waste of time fueled by a grindy micro-transaction economy pulled straight out of a mobile free-to-play game, except with a $60 upfront price tag. We'll have to wait and see if Ubisoft follows through on its promise to "spend more time making fewer, better games", or if it goes back to milking its franchises with slapped-together annual releases. EA's Madden game is in an even worse boat than Assassin's Creed was in. Not only is Madden an annual release, but it's internal resources are being stretched out between multiple, completely divergent game modes! EA has to chose how much resources to devote to each of these modes, and that commitment comes at the expense of the other modes. 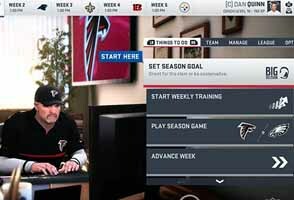 In addition to having to make general gameplay improvements every year, the team is also tasked with coming up with new features and improvements for Franchise mode, Ultimate Team, and now Longshot. They're basically developing three different games, and trying to squeeze them all into a single annual release cycle. Madden's resources are divided between three divergent game modes every year! It appears that 2k is pulling a thoroughly dickish move with regard to the release of the highly-anticipated Red Dead Redemption II. They are not distributing it to small, independent game stores until a week after release. The game is scheduled to release on October 26 (4 days from now, as of the time of this writing), but mom & pop game shops likely won't receive it until at least November 7! The game will be available for digital download on the scheduled release date of October 26, and it will even be available at large corporate retailers like Target, Wal-Mart, Best Buy, and Game Stop. But if you have a favorite little indie game shop, you'll have to wait more than a week to play this game-of-the-year candidate. What is 2K's reason for this move? Well, from what I've read, the reason is not entirely clear. 2K is citing production delays and supply issues for the discs. Even people who pre-ordered the game from the affected shops will not be receiving their copies on time, which completely negates the purpose of a pre-order, and highlights just how absurd the process is. In an age of digital distribution, pre-orders are practically moot. But even when a game is sold physically (and sells a crap ton of pre-orders), it still might not be available to you! So why bother pre-ordering? 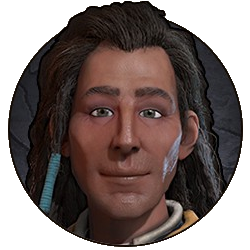 delay the release of the game (including online sales) a week. A minor delay into early November would not be that much of a hit on the game's sales. It not like they'd be missing the revered holiday launch window. At the very least, they should have provided any and all pre-order copies to the stores that sold pre-orders. The cynic in me can't help but suspect that this is some deliberate move by 2K to harm independent game retailers. Perhaps they want even more control over the release process of their games, and independent retailers are much harder to control than massive corporate entities. Or maybe they calculated that any losses from those independent stores would be offset (either partially or in full) by online sales in which the publisher does not have to split money with the retailer. In any case, we're living in an age when independent shops are struggling to survive against the monopolies of corporate retailers like Wal-Mart and Best Buy, and against the online retail juggernauts like Amazon (and the online storefronts of companies like Wal-Mart and Best Buy). Withholding highly-anticipated product from such shops (while still delivering it to their corporate competitors) is outright cruel and unforgivable. That is true whether the withholding is being done maliciously or not. 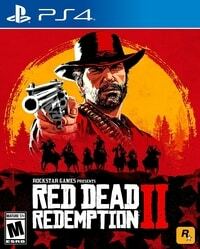 As for me: unless 2K back-tracks and does, in fact, deliver the game to independent retailers, I will not be buying a new, retail copy of Red Dead Redemption II! Instead, I will wait a week or two and see if I can get it used off of eBay (or a local independent retailer). I will stand in solidarity with independent retailers and their customers. As such, any review that I write for it will necessarily be late -- even by my standards... And even if it turns out to be the best game that I've ever played, I will not be trading it in for a new copy of the game, or recommending it to any friends, as is my usual practice. 2K, you just lost a sale. Bears finish the 2018 bye week atop the NFC North? My expectations for the Chicago Bears' 2018 season was quite reserved after the team's decent preseason performances. The starters saw very little play time, so I didn't really know what to expect. My expectations rose a little bit after the Bears swindled Khalil Mack from the Raiders. At least the defense would probably be pretty good. I wasn't expecting the defense to be this good, however! Khalil Mach has absolutely dominated in these early season games, recording at least one sack and a forced fumble in each of the first four games (as well as some fumble recoveries and an interception returned for a touchdown). This dominance wasn't quite enough to stop Aaron Rodgers from limping his way to a 20-point comeback victory in the second half. 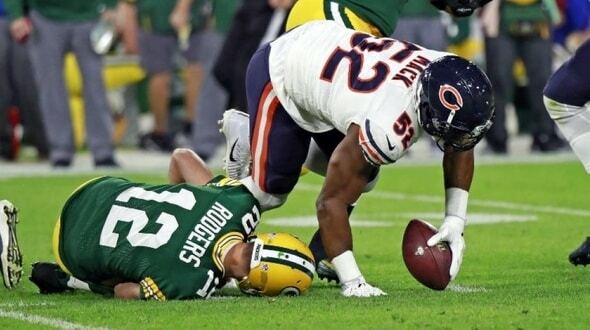 Rodgers left the game in the first quarter with a knee injury, but came back later after backup Deshaun Kizer proved to be completely ineffective. Khalil Mack has been absolutely dominant, and is on pace to earn every penny of his contract! Rodgers was clearly in pain, as he was forced to stand and hobble in the pocket, unable to put much weight on that injured leg. Yet the Bears didn't manage to get to him at all in the second half. Put quite frankly, and bluntly, I am dumbfounded that Rodgers' career isn't over. That might sound heartless, but Rodgers did not need to come back into that game. He should not have come back in that condition. His coaches and trainers should not have let him, and the league should not have let him (considering all their BS talk about "player safety"). If he had suffered further injury (possibly season or career-ending), that would be entirely on him and the coaching / training staff! Now I don't know if coach Nagy and defensive coordinator Vic Fangio dialed back the pressure (which it looked to me like they did), or if Rodgers' offensive line simply laid it all on the line to protect him (in which case, they all deserve awards! ), but I would have been sending everything and the kitchen sink after Rodgers during that second half. I'd have been blitzing 6, 7, or even 8 guys every single play. No mercy. If Rodgers wanted to put himself at risk by coming back into the game with that injured leg (again, barely even able to stand on his own leg, let alone run on it), then I would have made him suffer for it. when the Packers put Aaron Rodgers back into the game? I don't want to see anybody get hurt, but Rodgers was asking for it. Again, considering it's hard-line positions on player safety, I am absolutely amazed that the NFL allowed the Packers to play Rodgers, and that they didn't fine the Packers or Rodgers for that reckless behavior. This just goes to show how the NFL isn't really concerned with player safety, only with the bottom line, and Rodgers leading an epic come-back victory while hobbling around on one leg certainly made for prime viewing, and made that game into an all-time classic. The NFL will penalize and fine defenders for doing their jobs, but you'll let a cripple walk onto the field and put himself at risk? Shame on you, NFL!